This charming tiny house on wheels spans 160 sq ft and is currently available for sale at $26,000. The custom built home is hand-crafted and made using reclaimed barn wood. It also has a galvanized tin roof and sits on a 8' x 20' double-axel trailer. 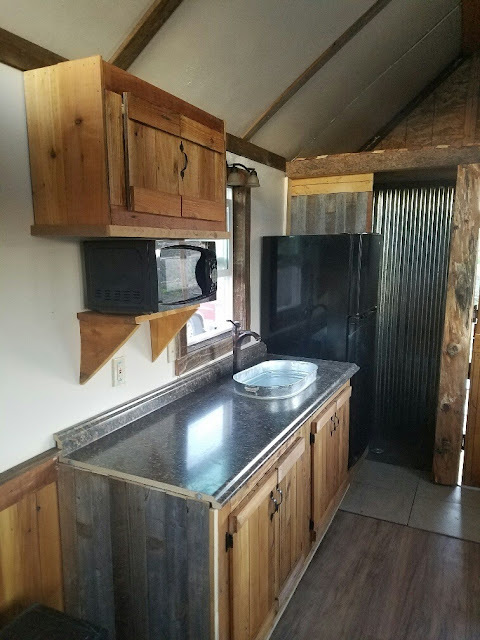 Inside the home is a kitchen with a 3/4 refrigerator, a microwave, a farm-style kitchen sink, and hand-crafted cabinetry. 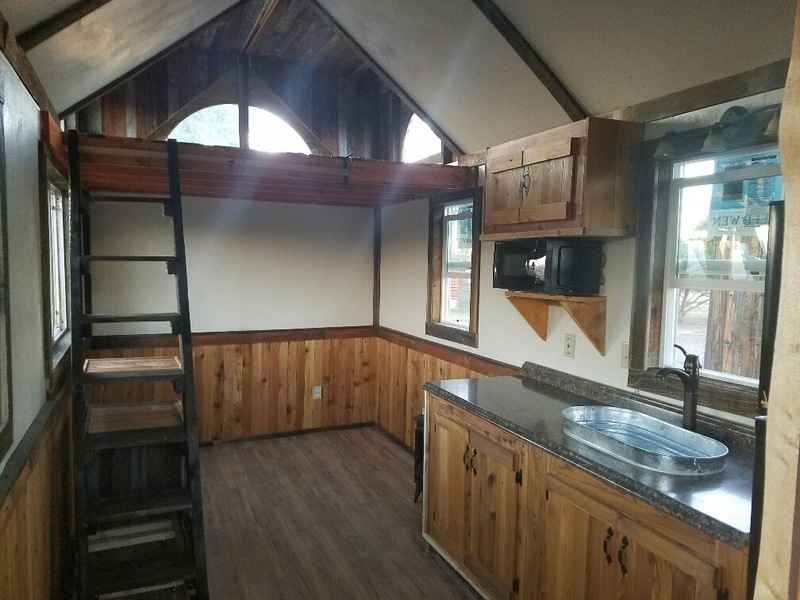 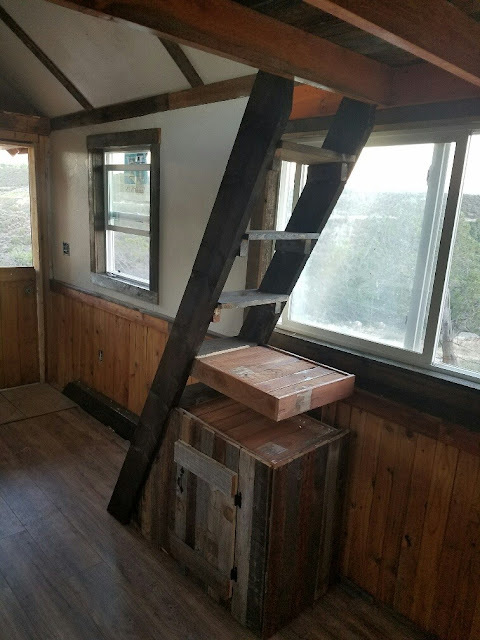 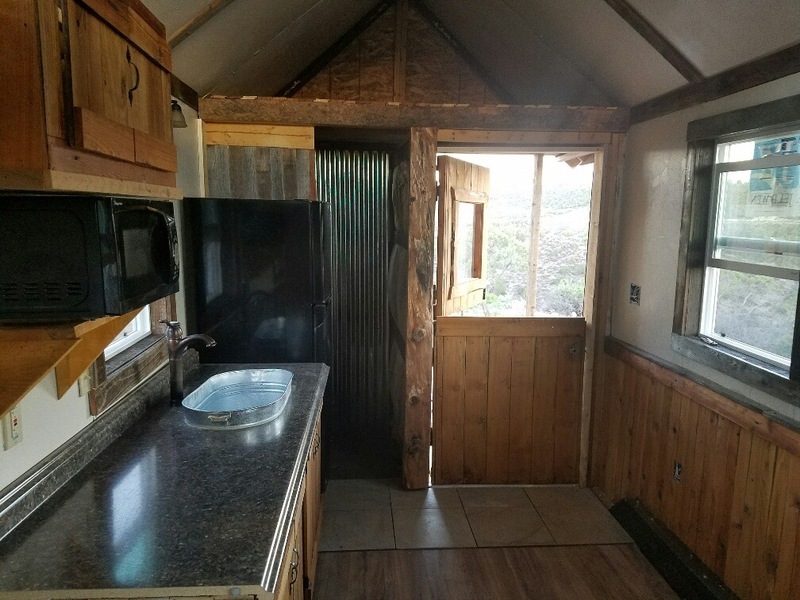 There's also a bathroom with an RV-style toilet, a loft bedroom, a second loft for storage, and a living room area. 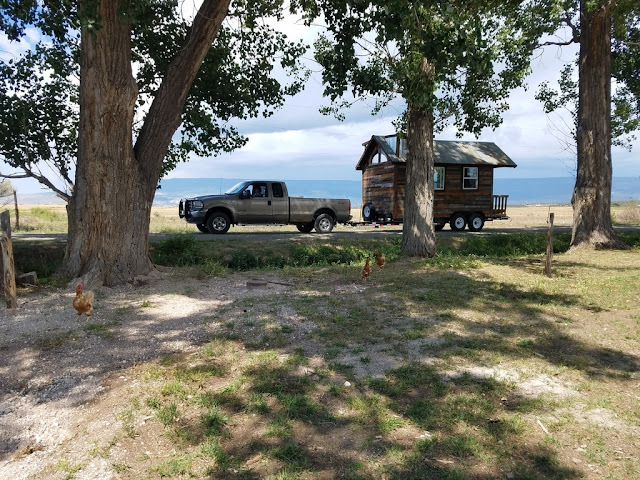 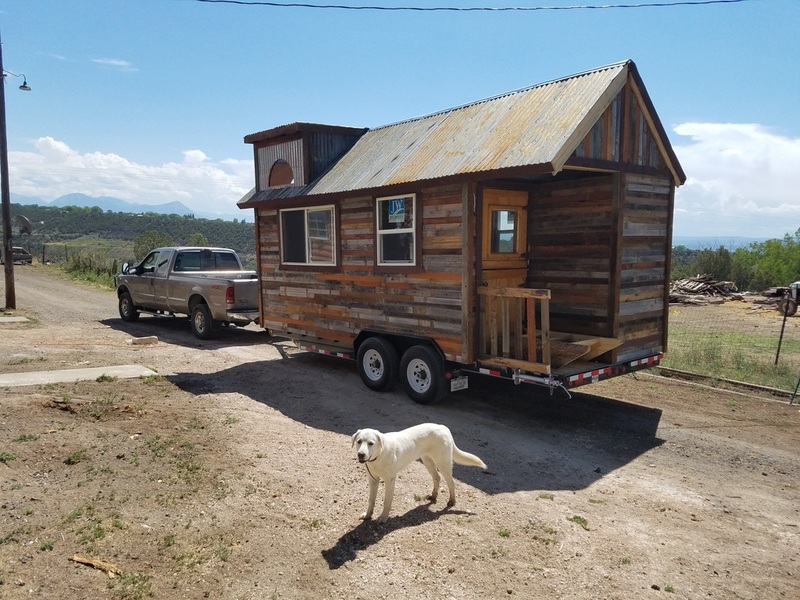 The home is available for sale in Cedaredge, CO.
And to answer your most burning question- no, the dog in the first picture is not included.